When preparing for an open house there are many things to consider. In our article, Open House Tips To Get Your Home Sold Fast we discussed the pros and cons of an open house and in this article we’ll discuss the preparation needed before and during the event. Preparing for an open house takes planning, first you need to determine when you’ll hold the open house then you need to advertise it and finally do your interior clean-up and preparation. Hopefully after the event, you’ll have some prospects to follow-up on. In preparing for your open house you want to first determine a date and time to hold the event. 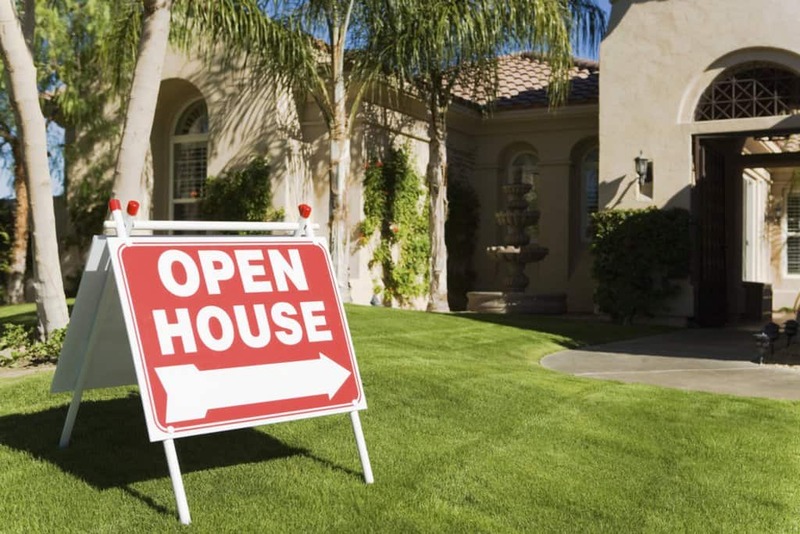 Open houses are most successful and best received on the weekends. Further, Saturdays are good and Sundays are best staying clear of church times. Also make sure to not schedule your open house on a three-day weekend or near a major holiday. Once you’ve determined the perfect time to hold your open house you’ll want to start getting the house “Open House” ready. Being open house ready means full interior cleaning, decluttering and the removal of your personal items. When buyers walk into your home they should feel the house is inviting, clean and welcoming. Make sure to remove personal belongings like crafts, photos, etc. Buyers walking into and through your home will want to envision their own items there. You’ll want the house to be as neutral as possible, some photos are acceptable but many photos and little Jimmy’s kindergarten painting on the fridge will need to be stored away outside of the public view. Advertising your event may be easier than you imagine. In today’s technological world, everything and everybody is online so make sure you advertise on social media, and major websites like Zillow.com, Realtor.com and Trulia.com. Social media outlets like Facebook can be incredibly useful, for instance create an event and promote it to your friends and family. You may also want to join some local real estate and Realtor Facebook groups in your area and share the event there. The day has finally come, an hour or so before start putting out your open house signs. Your signs should be easily view-able for cars driving by and placed well to provide easy turn by turn directions to your open house. At the property add a couple of signs as well and some balloons, they will add an easy marker for people to see and create a fun, inviting atmosphere. As people arrive greet them at the door and hand them a flyer on the property, encourage them to make themselves at home and ask any questions they have. Do not follow them around the house, check in occasionally on people who stay for a while but give them the space they need to check things out. Many sellers in addition to completing the tips provided will also bake some goodies like chocolate chip cookies. This gives the buyers something nice to snack on while also filling the house with a familiar smell. If fresh-baked items aren’t your thing, feel free to use neutral scented candles likes vanilla. For more information on open house planning or to have us host one for you, please contact us or leave a comment below. We’d appreciate the opportunity to assist you!